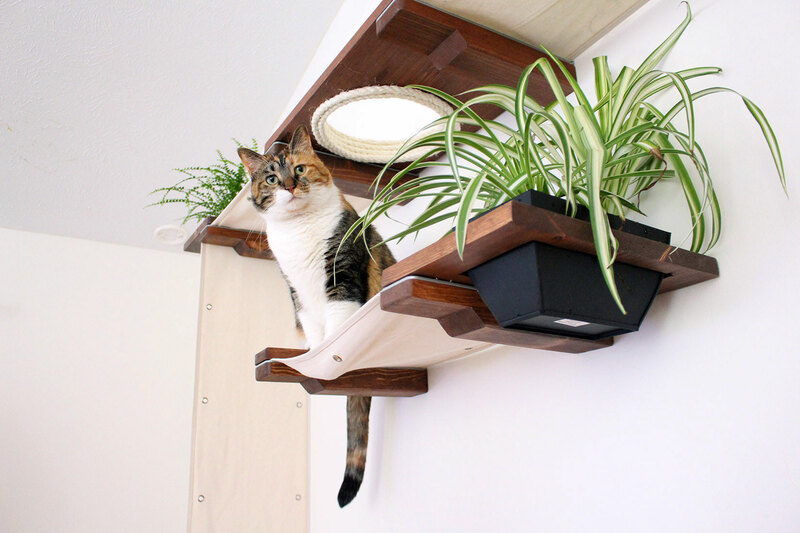 This is our very first complex that incorporates cat-friendly plants. 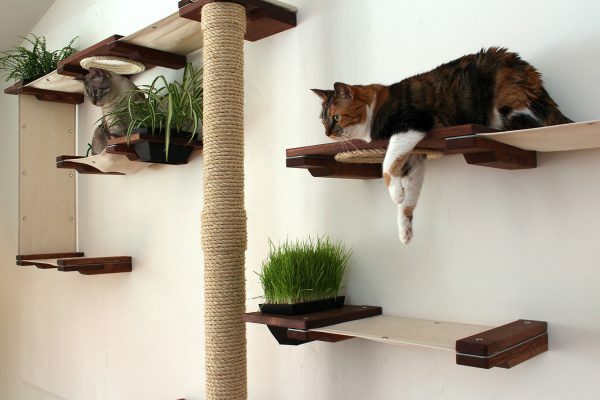 Our cats love fresh catnip and cat grass, so we were pretty sure this new complex would be a hit in our home. We love bringing a little bit of the outdoors inside, in a safe manner. 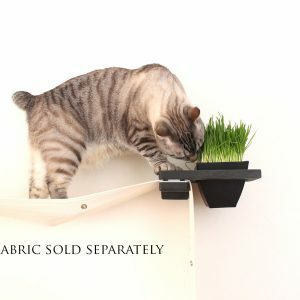 All of the plants showcased below are safe for both cats and dogs. However, even certain non-toxic plants may have side effects if ingested. 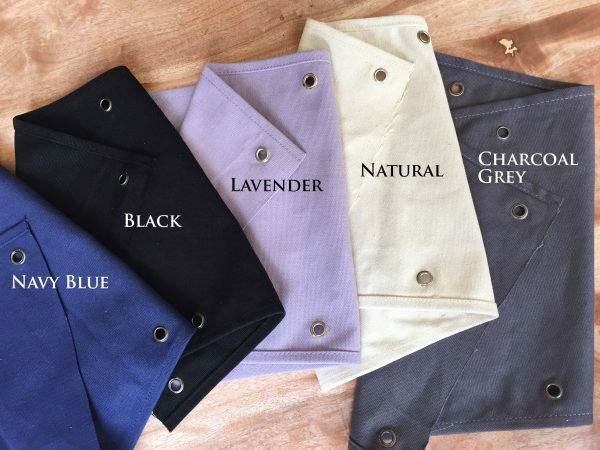 For more detailed information we suggest you consult your local nursery or vet. Here’s a list of plants we think would work well for this structure: Spider Plant, Lemon Button Fern, Cat Nip, Cat Grass, Variegated Wax Plant, Lilyturf, and Boston Fern. The Gardens is our widest complex to date. It’s great for spaces with limited vertical space because it’s pretty short at only 63″ tall. 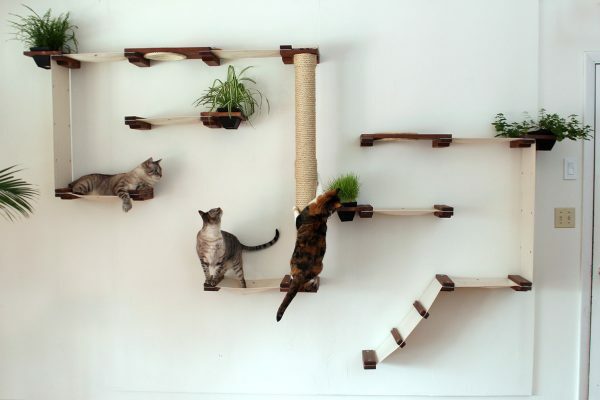 It’s also nice for homes with multiple cats because it is so large and has a variety of paths up and down the complex. 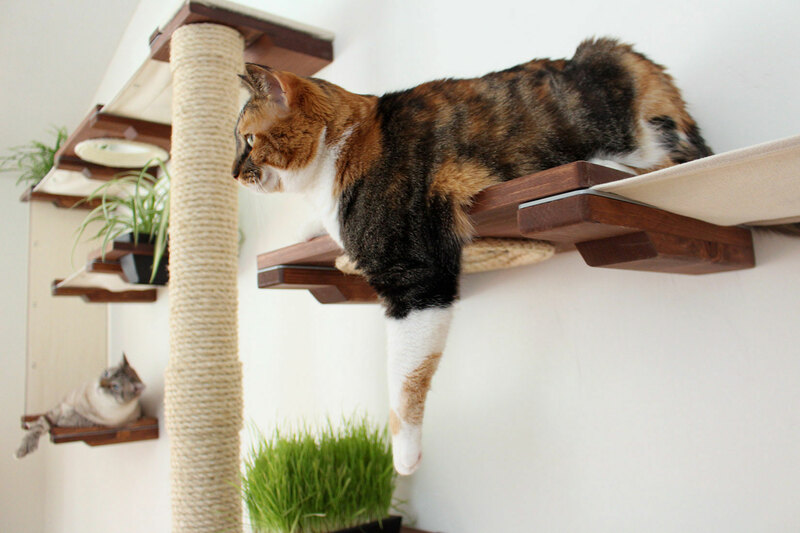 This helps to ensure no disgruntled cats are trapped either below, or above by another cat napping in one of the hammocks. This piece is mounted along seven studs, spaced 16″ apart. Happy Cat, Happy Cat Mom! My wild one took to this right away and is on it all the time. He loves to climb the sisal pole. 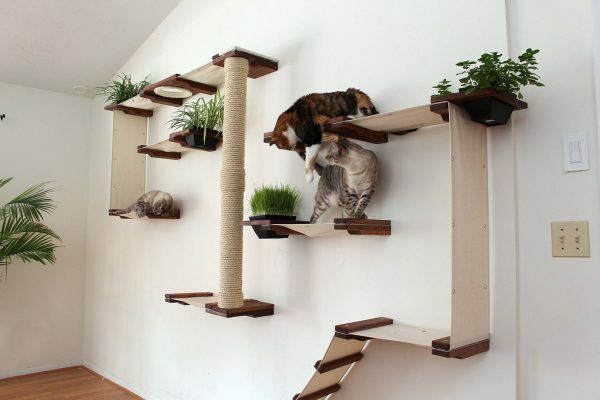 I love that it doesn't take up floor space and is way more attractive than most cat furniture. Glad I finally went for it! This turned out so great! 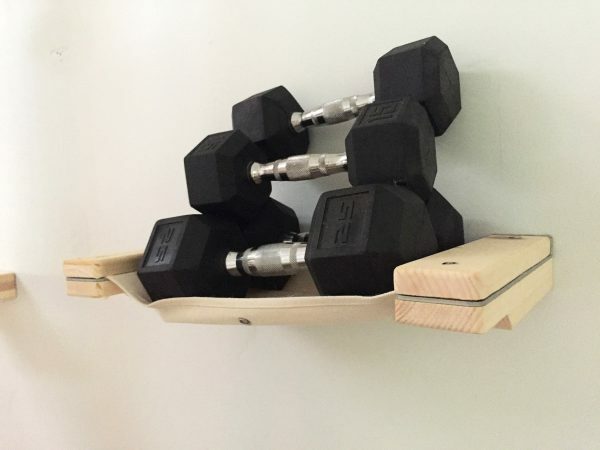 Definitely make sure you put them into studs. 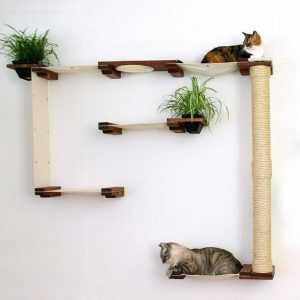 The instructions state you could also do heavy duty wall anchors, but when we did that in one section, ours ripped out from the wall when the cat jumped down on it. If you hire a handyman to install it, make sure you budget for your installer to put studs in where there aren't any. It ended up costing more to install it, but we have the peace of mind that the entire unit is safe for the cats and they absolutely love it! 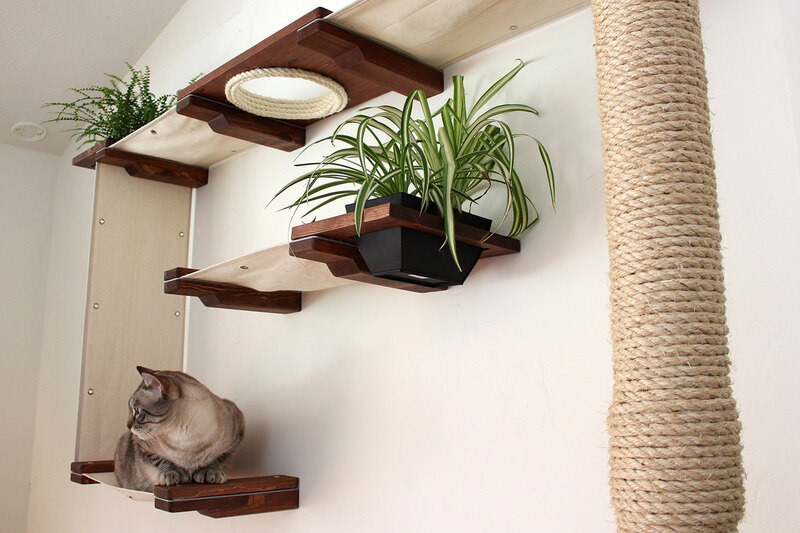 All of our cats LOVE these shelves. We own a cat cafe so we’ve seen over 150 cats come through in Our 6 months of being open and each and every one loved playing on the shelving. It gives them somewhere to go to sleep soundly as well! 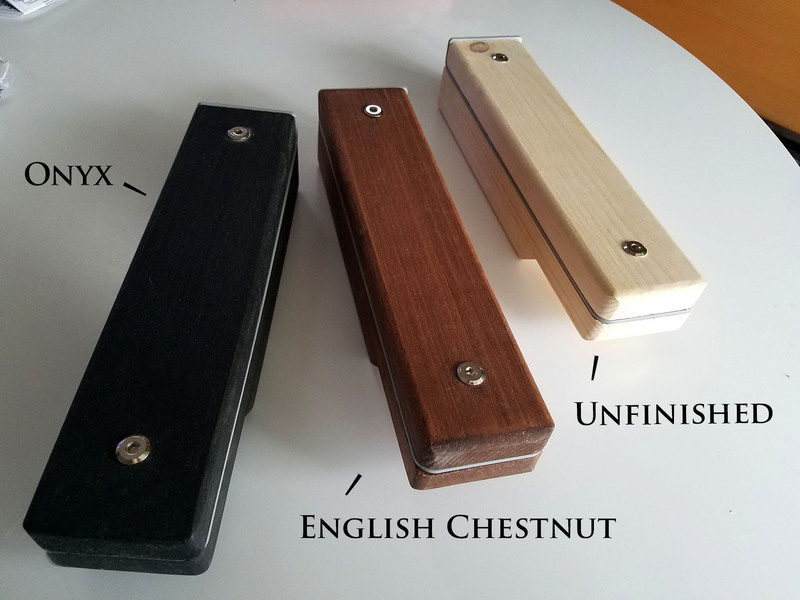 The shelves are also beautiful and very well made, as they have held up spectacularly in this period despite what I’m sure is higher than average use. Can’t say enough good things.